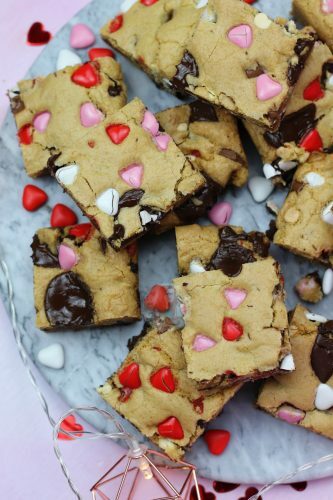 Chocolatey, Gooey, Delicious Cookie Bars with Pink, Red and White Chocolates for Valentines! 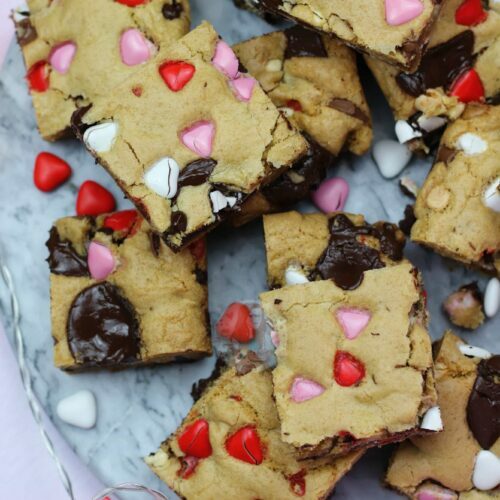 Heavenly Valentines Cookie Bars! So, I couldn’t resist. Like, honestly, I couldn’t resist this one. I know I have posted ~quite~ a few Cookie Bar recipes now, but like, when I found these cute little White, Pink and Red heart shaped chocolate sweets in Tiger (flying tiger) I just couldn’t RESIST making Valentines Cookies. 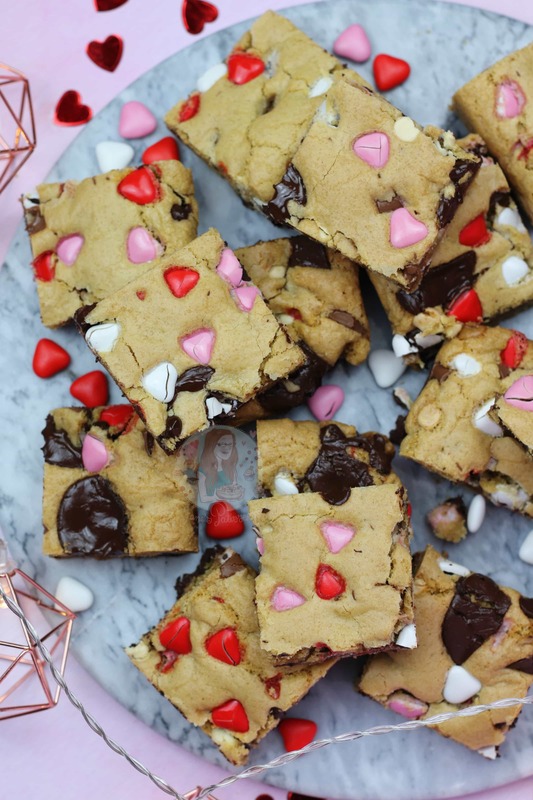 But, as I am me, I wanted Cookie Bars… so they happened. 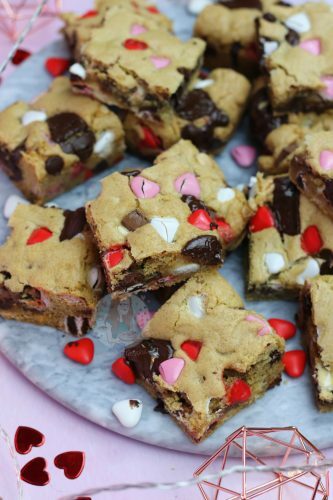 It is basically the same recipe as my S’mores Cookie Bars, and my Mini Egg Cookie Bars, but does that matter? Naaaahhh. Well, to some it might, but to me it doesn’t. 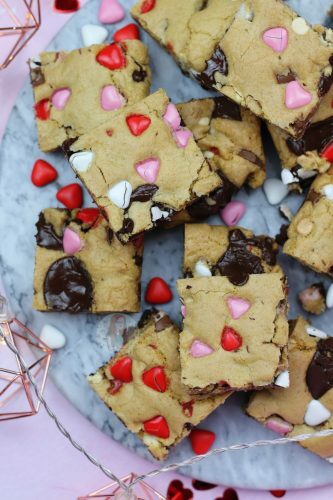 Who doesn’t want more Cookie Bars?! But anyway, as its Valentines Day soon, I thought I would share another corker. 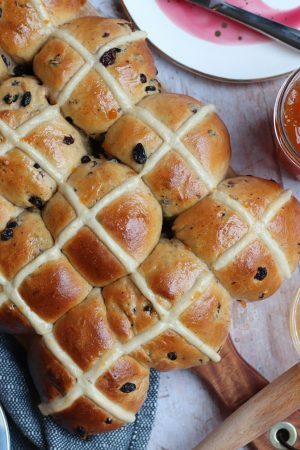 This however, does serve 16 technically… unless you just fancy sharing half each (which you might, no judgement here), you might have a few spare. I just prefer the texture of the cookie bar when its made with these quantities, I feel like it changes a tad when you alter the recipe. 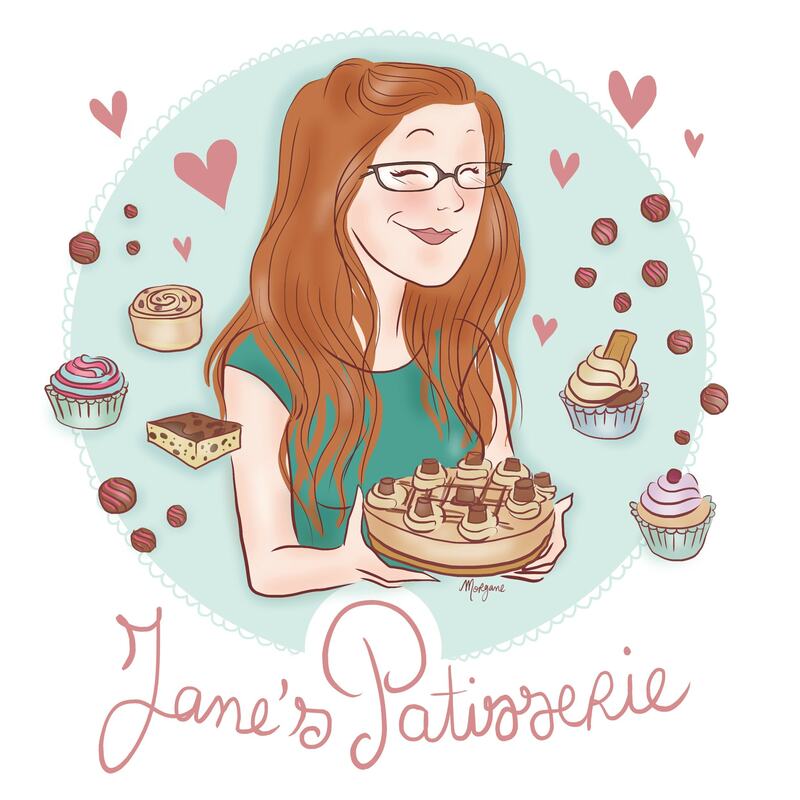 I really do think the whisking of the melted butter and sugars are quite a key to this recipe. I use my kitchenaid with the whisk attachment for this bit, and it really does break down the sugars and help them dissolve. I then switch to my paddle attachment when adding in the dry ingredients and it forms a lovely super thick dough which you can push around with your hands. Sometimes because its so thick, it can be hard to push in the chocolatey additions to the cookie dough, but to be honest squishing it all together with your hands is the best. Smush it all in there and make sure the chocolates are even, and then you’ll have some of the best cookie bars you will have ever eaten. I did make my life easier by using the coloured chocolate sweets I found from tiger, but if you really don’t have to go through a few packets of M&M’s or Smarties to find the pinks and reds, you could try adding in some freeze dried raspberries or strawberries, or even some fresh raspberries! I just really am a fan of chocolate overload. 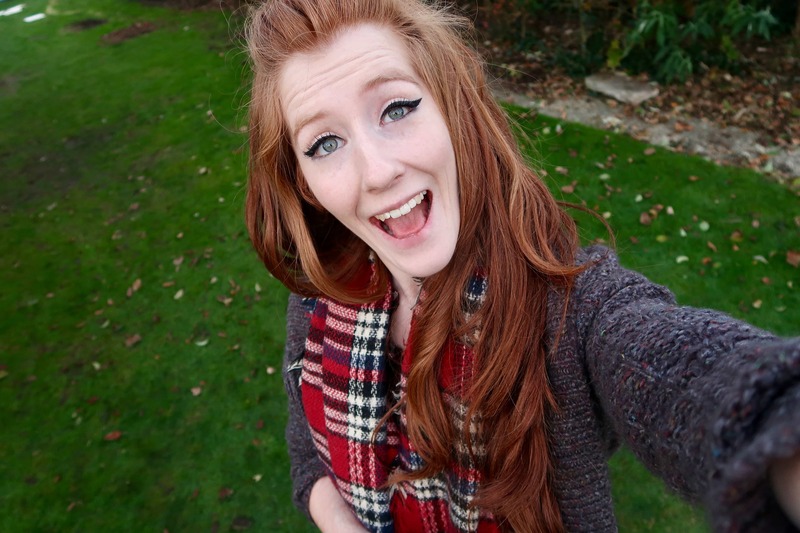 Which you might have noticed already if you have been reading my blog for a while. 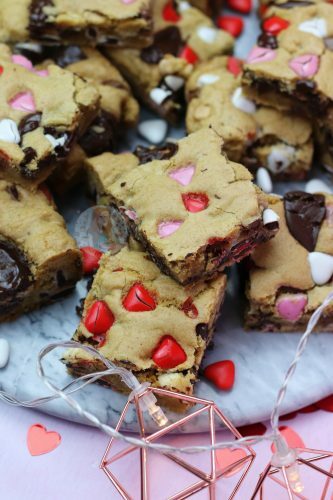 Chocolatey, Gooey, Delicious Cookie Bars with Pink, Red and White Chocolates for Valentines! Preheat your oven to 190C/170C Fan and line a 9x9" Square tin with Parchment Paper. In a bowl, whisk together your Plain Flour, Bicarbonate, Salt, and Cornflour. Leave to the side for now. In a different bowl, melt the Butter. Add in the two Sugars, and whisk together the mixture for two minutes until the sugar starts to dissolve, and the mixture is smooth. Add in the Egg, and the Vanilla, and briefly whisk again till smooth. Add in mixed Dry Ingredients and beat till a thick cookie dough is formed. Once in, add in the chocolate chunks, and the coloured chocolates and make sure its all mixed together evenly. Press the Cookie Dough into the bottom of the tin, and bake in the oven for 20-25 minutes. The top of the Cookie Dough will look dry and baked, and the mixture shouldn't wobble when baked. Let the mixture cool for about 10 minutes, and then let it cool fully out of the tin on a wire rack. Cut into squares and enjoy! I found my Pink/White/Red chocolate sweets in Tiger (Flying Tiger) randomly, but they're heart shaped and perfect! M&Ms or Smarties, or anything similar would also work! Aim for Red/Pink colours. These treats will last in an airtight container at room temperature for 4 days. 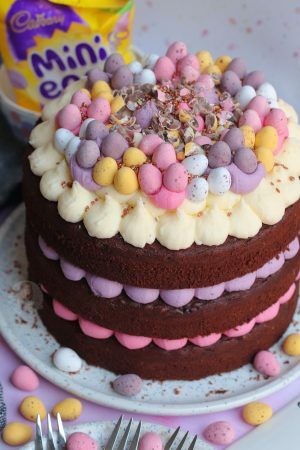 I used Milk and Dark Chocolate chunks to make these extra chocolate as you can see in the images, but you can use all the coloured ones if you want! Microwave each piece for 30 seconds, and add a dollop of ice cream for an indulgent dessert! 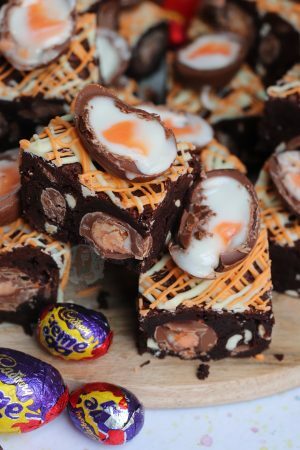 If you want to make these smaller for 'just two' you can easily half the recipe and use one small egg. Use one of those foil trays you can buy in a supermarket to bake it in! 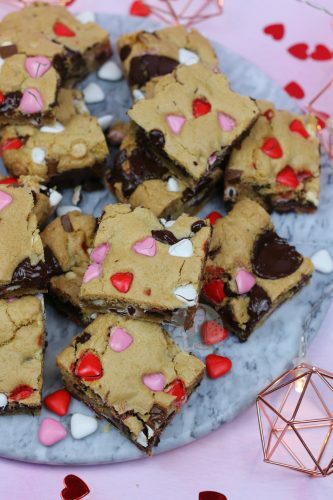 Find my other Valentines & Cookie Recipes on my Recipes Page! Older Next post: Valentines Macarons! Newer Previous post: No-Bake Gin and Tonic Cheesecake! Made these today ready for Valentine’s Day tomorrow and I’m super happy with the results! II didn’t add 250g of pink/red chocolate as I couldn’t find any so had to buy some bags of M&M’s and just pick the red ones out, this is just because I’m trying to use things up that I already have. So I made the cookie dough with the chunks in and then just pressed the red M&M’s into the top of it once it was in the baking tray. It has still turned out just as good as I expected and I’m sure my boyfriend will enjoy them.